Loving all the new spring silk wedding flowers collections that are arriving here at The Brides Bouquet. Today I am featuring these gorgeous blush pink silk flower bouquets. 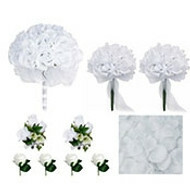 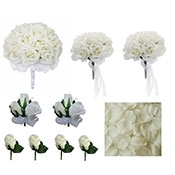 Although they are fake wedding flowers, they are not the flimsy cheap wedding flowers. 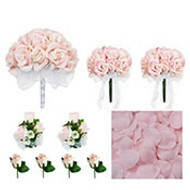 Our blush pink silk wedding bouquets are professionally designed with high quality artificial flowers. 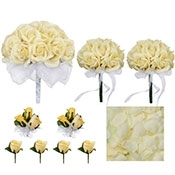 We offer a variety of styles and sizes so you can mix and match your bridesmaid bouquets and junior bridesmaids and even flowergirls. 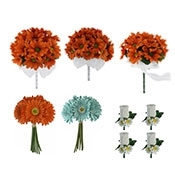 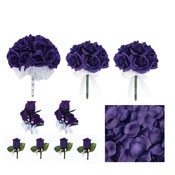 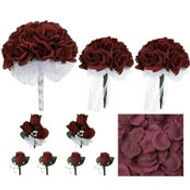 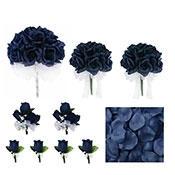 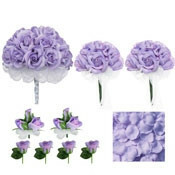 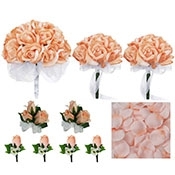 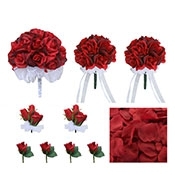 Plus you get to pick the ribbon colors to accent your bridal and bridesmaids bouquets. 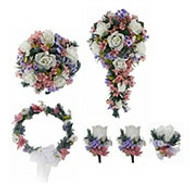 Have a look around and see all the lovely new flowers and greenery we are offering this season. Coordinating Corsages and Boutonnieres too.